Gerber's E.A.B. Lite (Exchange-A-Blade) utilizes contractor grade or standard size utility blades that can be easily replaced. The E.A.B. 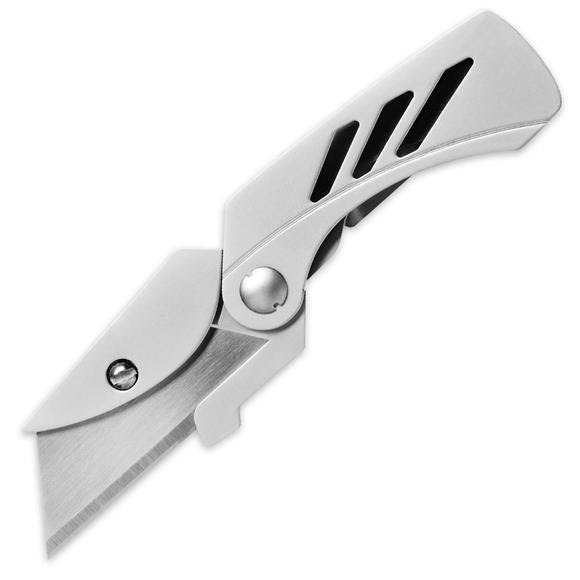 Lite also features deep finger groves that provide a secure grip in a lighter knife. Gerber &apos;s E.A.B. Lite (Exchange-A-Blade) utilizes contractor grade or standard size utility blades that can be easily replaced. The E.A.B. Lite also features deep finger groves that provide a secure grip in a lighter knife. Deep finger grooves for secure fit. Handle also doubles as pocket or money clip.